FiddleStitches is a full-service design studio dedicated to the art of quilting. I’m the gal running the show, Melissa Hoffman. Whether you’re looking to have your quilt top finished with a custom design or an affordable all over pattern or something in between, I’ve got you covered! 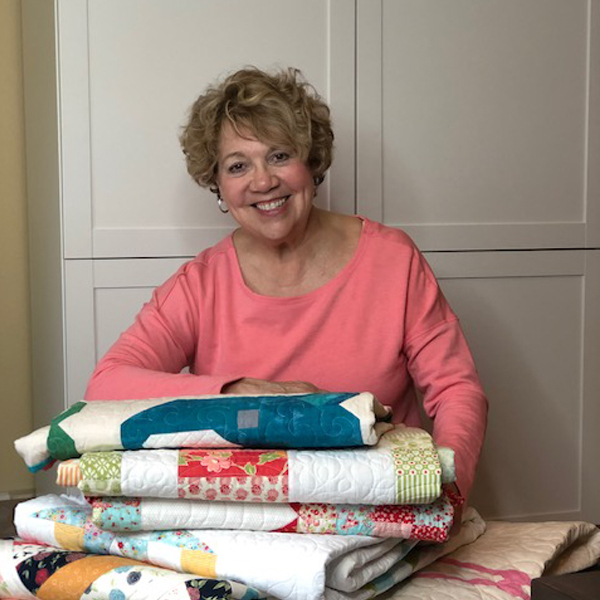 With 15 years of longarm quilting, my goal is to provide a quality, personal, caring service. I guarantee that your project will be handled as if it were my own. I am committed to partner with each client ensuring the design fits their style, works with their quilt pattern and their budget. My customers include quilt shops, designers and the best of all, individuals who love to be creative. I have customers both near and far. Those who are local, you can drop their quilts off at the studio or we can meet up for coffee to make an under the table exchange. Mailing straight to my door works great too! Give me a call and let’s talk about your project!